GV worked with a diverse client group, dozens of community members and a number of city agencies to develop a master plan for this half-acre site. The design connects gardens, woodlands, a wetland, a lawn terrace and a small playground through a broad grading and circulation strategy that makes the entire site universally accessible. 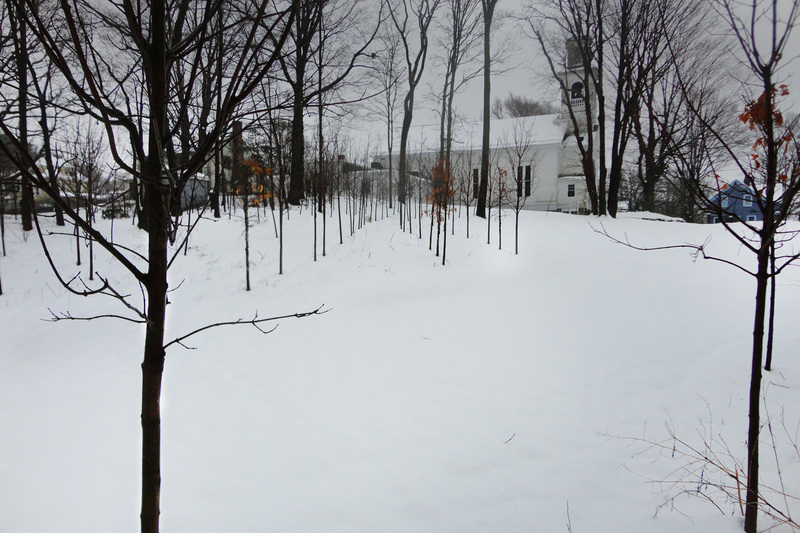 The newly planted woodland is shown above in winter.